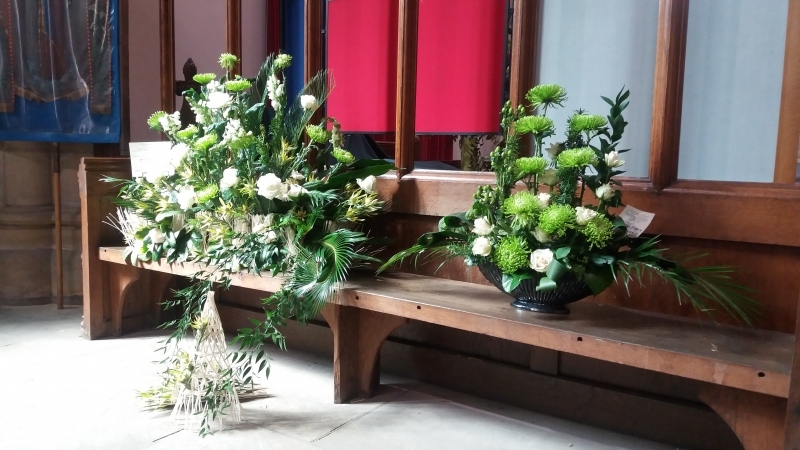 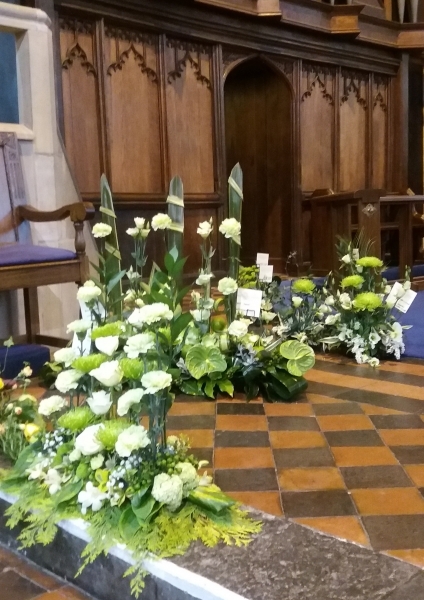 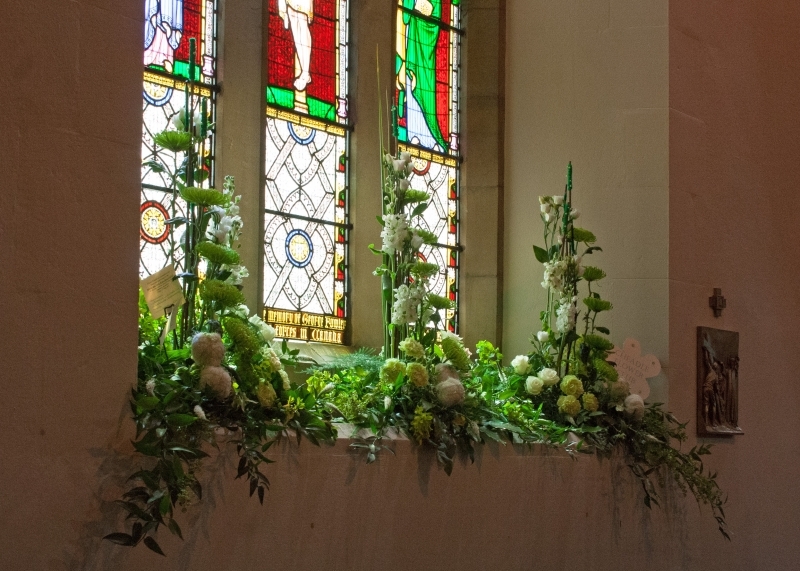 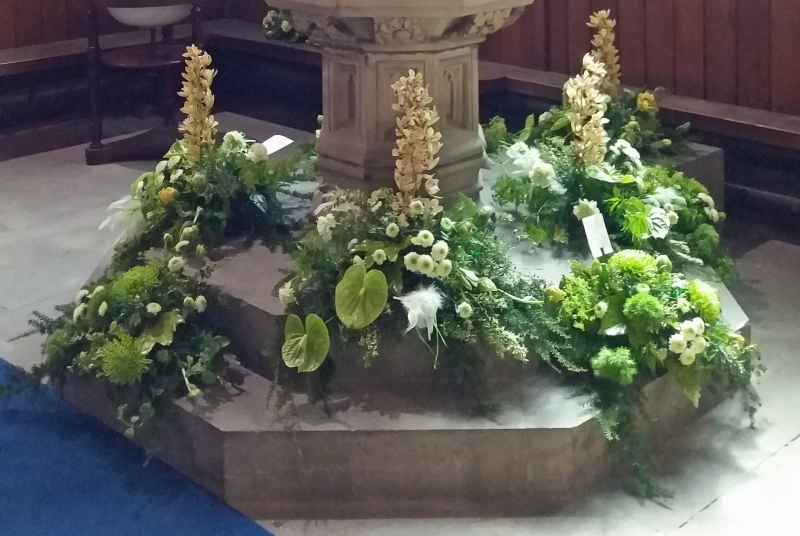 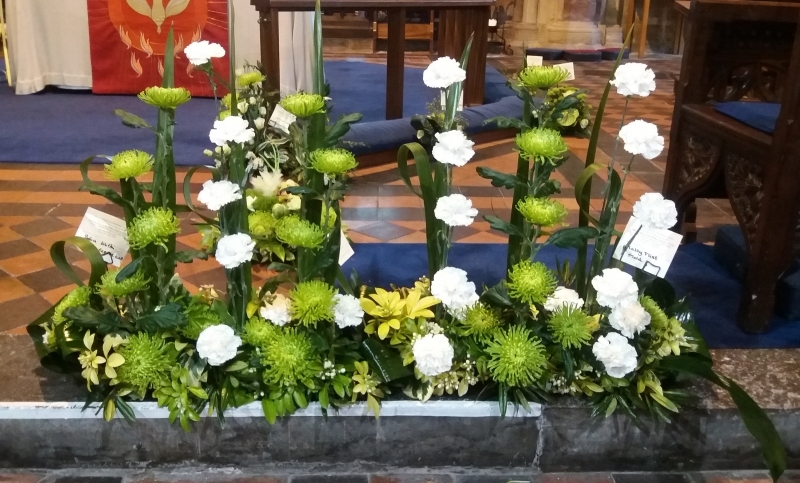 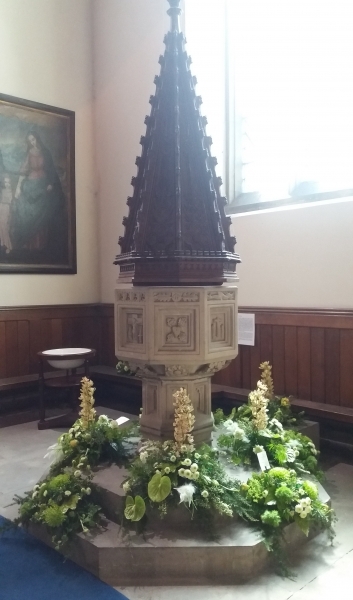 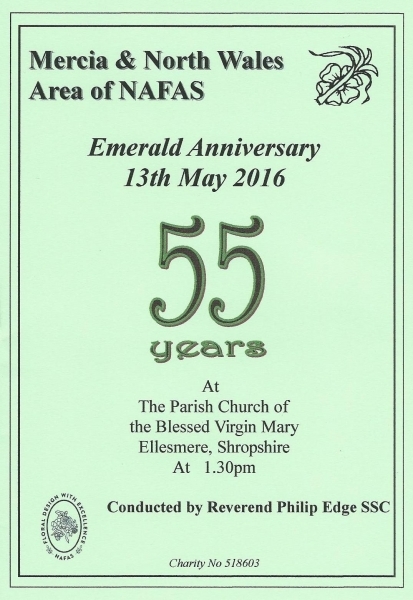 Mercia and North Wales Area of NAFAS celebrated 55 years this weekend with a flower festival and thanksgiving service at the Parish Church in Ellesmere. 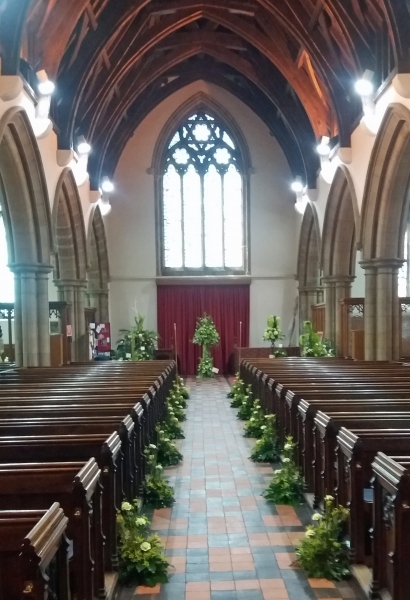 Every available space in the church was lavishly decorated by flower clubs of MNW area. 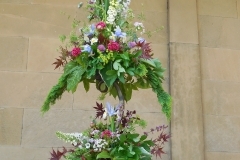 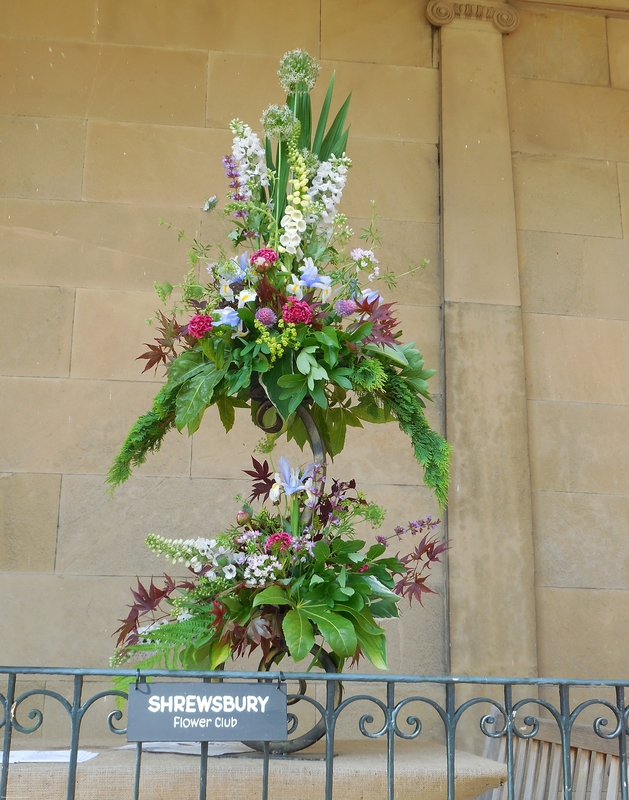 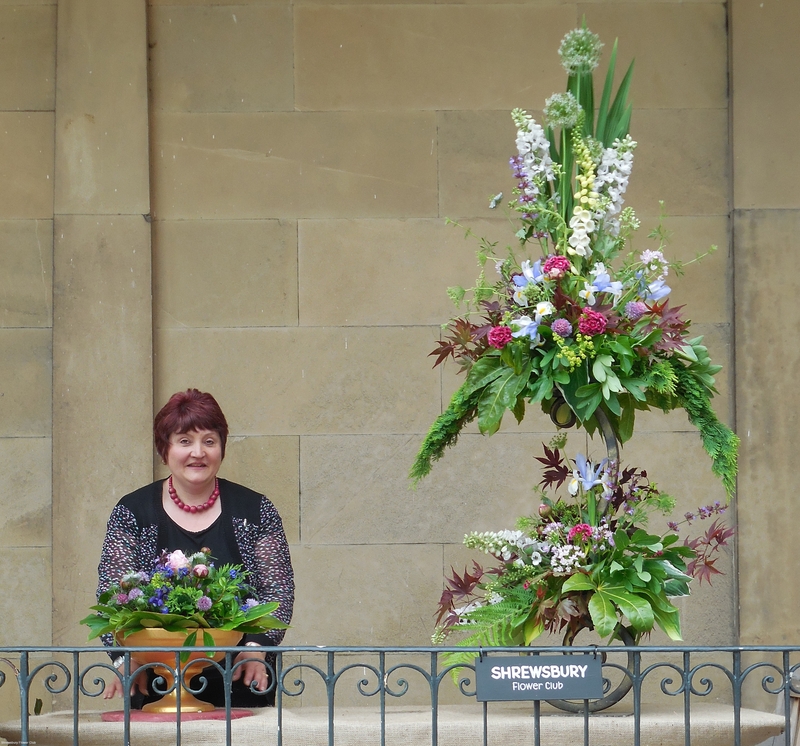 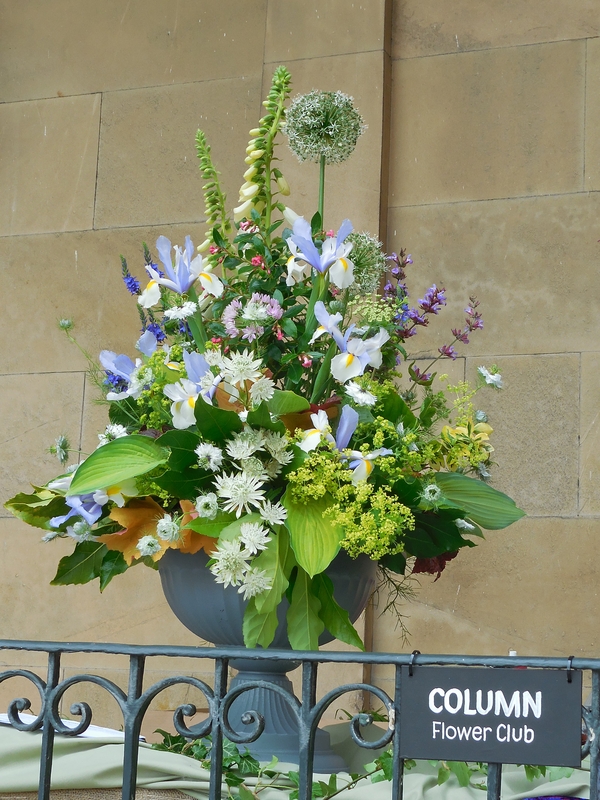 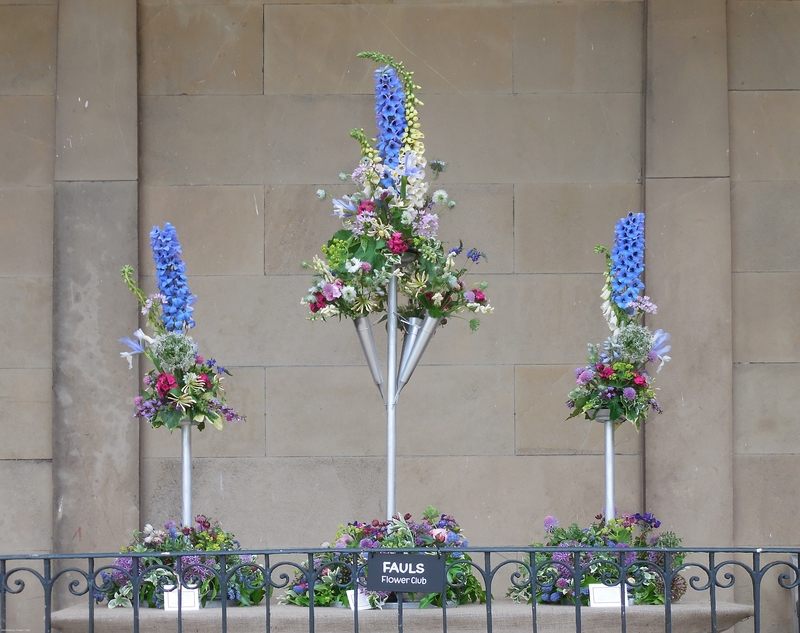 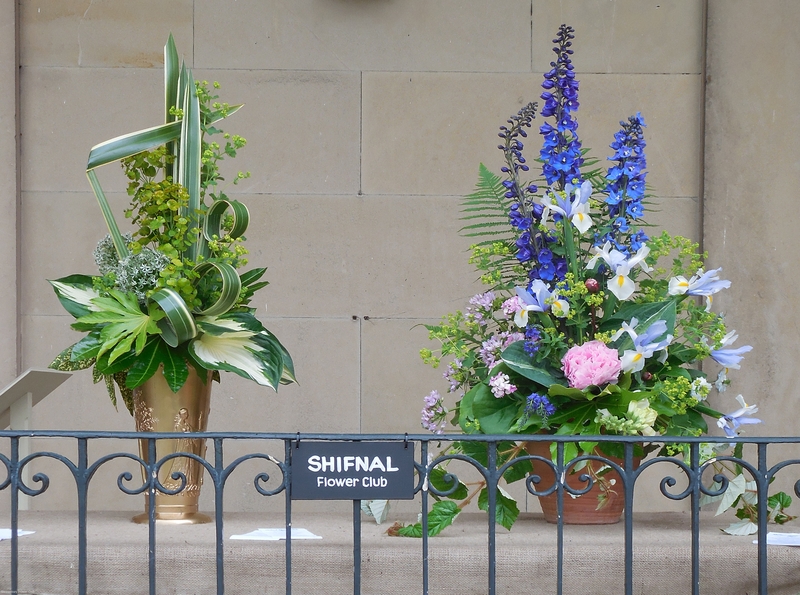 Gay Bream and Jane Pugh from Shrewsbury Flower Club represented Mercia and North Wales Area at the Show. 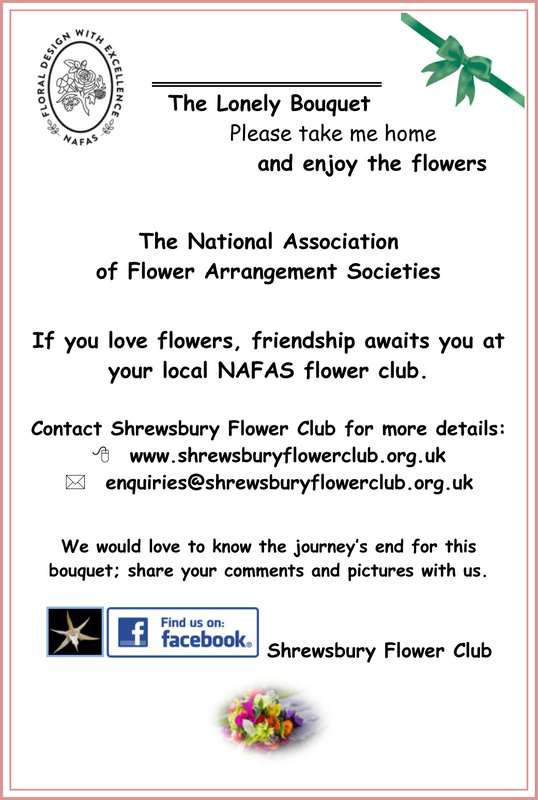 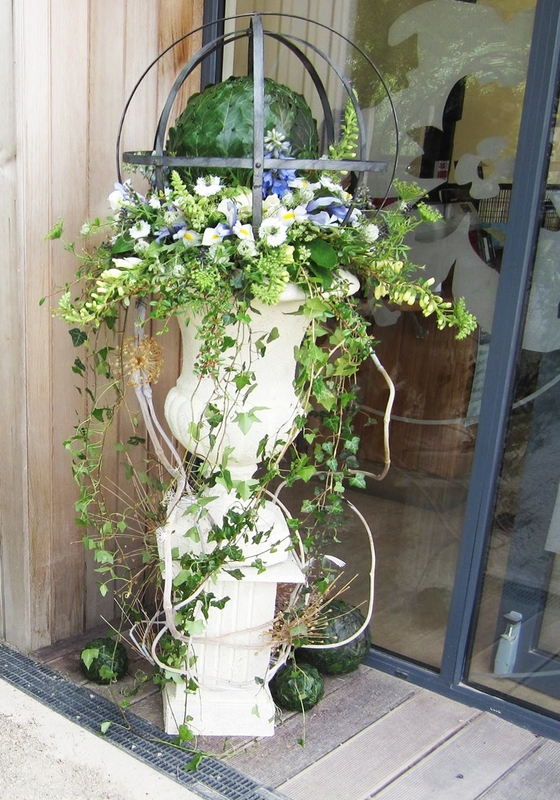 Click on the photo’s to see their lovely designs. 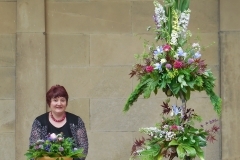 Also to Joyce Cook 2nd in class 10 *Oh! 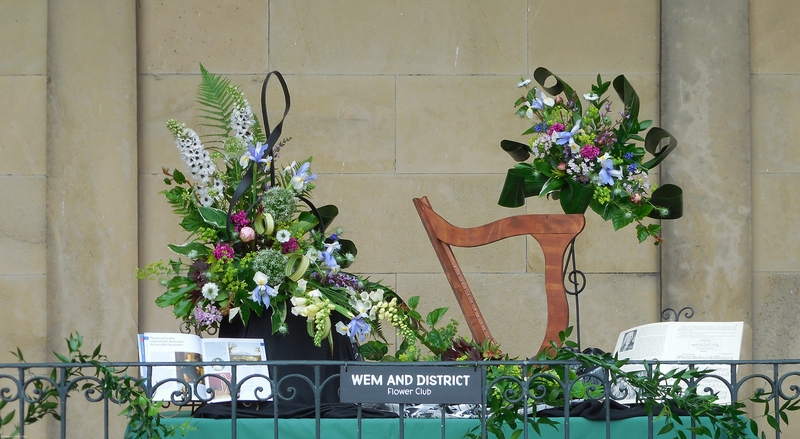 What a Pantomime!”; Lieneke van der Veen and Margaret Leslie who were commended for their designs in class 13 “Celebration”. 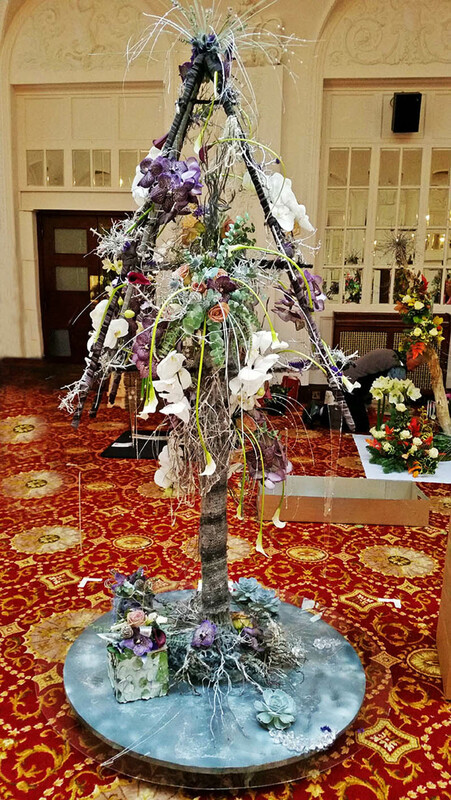 and highly commended for Riley James-Smith for his design in Class 17 “Deck the Tree ” . 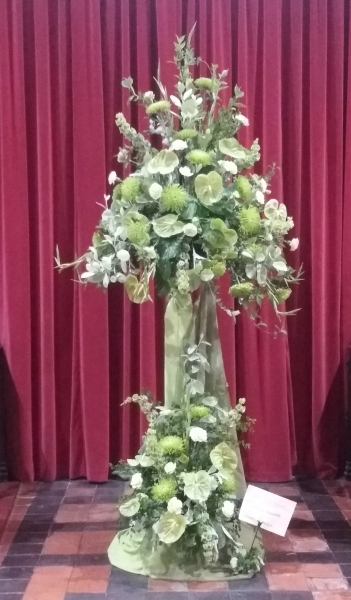 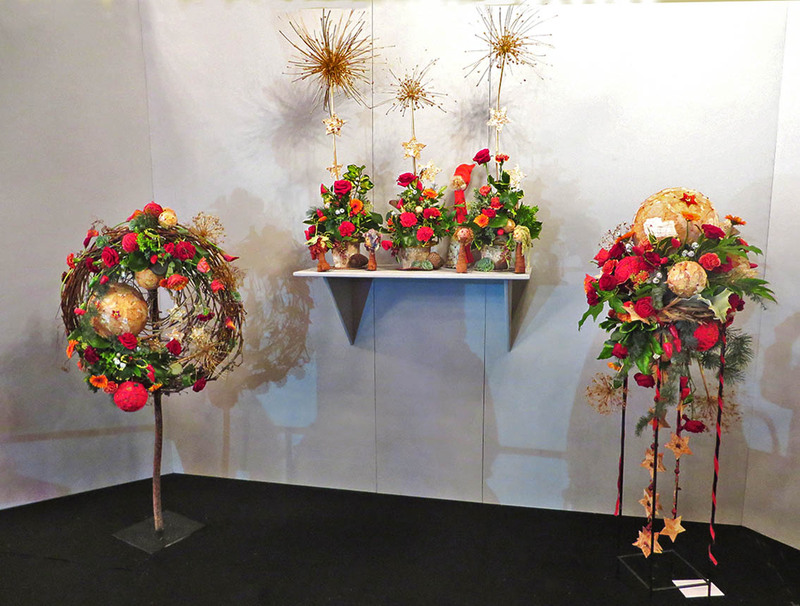 Also congratulations to Deborah Harris from Bayston Hill Flower Club who won 2nd & 3rd in the photography class ‘Indulgence’ and Patricia Bradshaw, highly commended.